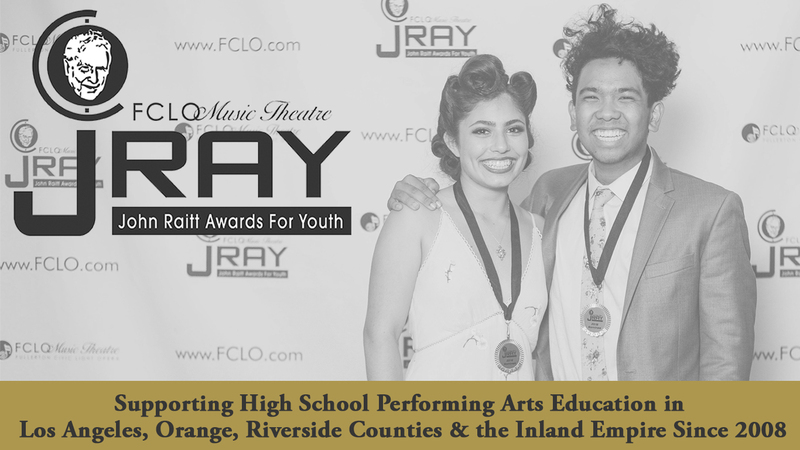 The JRAY mission is to promote and support high school education by recognizing musical theater excellence in all performance and technical production categories, and to provide outstanding students with unique opportunities and professional exposure through the granting of awards and educational scholarships. Over 200 Award nominees in 27 Categories! Grant Scholarships Awarded for Performance & Technical Students + unique training & workshop opportunities! TalkBack Notes for Directors and students to get feedback from our Judges on their performances! Over 25 Schools participate, culminating in our Award Show Performance on May 25th, 2019! Our Male and Female Performers of the Year can be chosen from any performance award category. They win a Cash prize and a trip to NYC and the Broadway Artists Alliance. More Details in “About Us!” Pictured above: JRAY 2018 BAA Winners, Abby Mohaddes (Palos Verdes High School, for her role as Hattie in “Kiss Me Kate”) and Jaymes Macabale (San Juan Hills High School, for his role as Jean Valjean in “Les Miserables”).